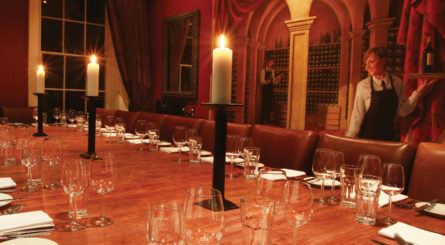 Private dining rooms in York. Find a venue for hire. Originally founded by the Romans, York has a wealth of historical and modern features drawing in around seven million tourists and visitors every year. Straddling the picturesque River Ouse, the city is home to the treasured Medieval 13th-century Gothic cathedral, York Minster – a must see for any visitor, as well as York Castle, Clifford’s Tower, the National Railway Museum, art galleries and the winding streets of The Shambles – known for their inspiring artisan shopping opportunities. Just two hours from London, the city is host to a wonderfully rich foodie scene drawing on its natural rich local produce and an array of quaint bistros, pubs, restaurants and fine dining eateries are spread throughout the city. They offer everything from delicious afternoon teas perfect for an elegant celebration to cookery lessons, Michelin starred dining and traditional Yorkshire fayre. 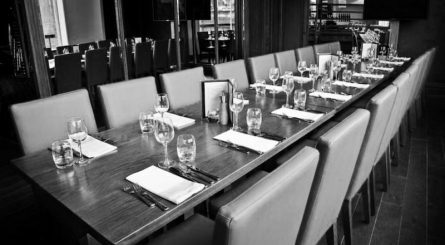 There are also a multitude of private dining options available for events from wedding receptions to business dinners and personal celebrations.